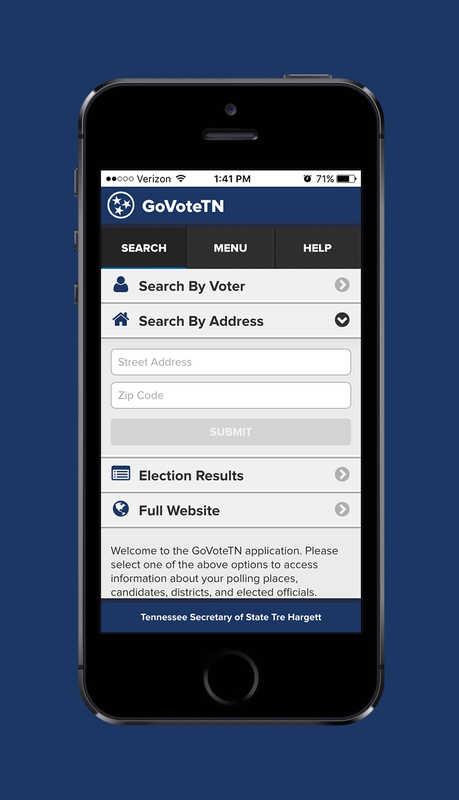 GoVote TN is a mobile app provided by the Tennessee Secretary Of State's office that helps Tennessee voters find their Election Day polling locations, view and mark sample ballots, see who their elected officials are, find districts/county election comission information, and acess online election results. 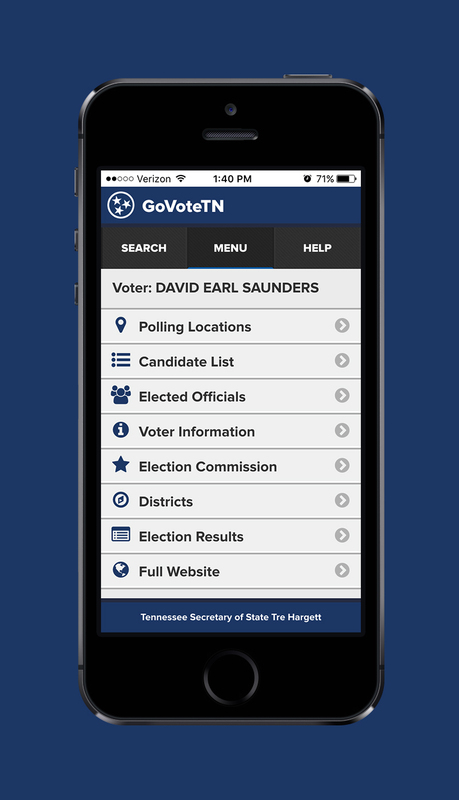 I was enlisted to design the user interface for the app while I was employed by Cabedge/Atiba and guided the majority of the visual direction of the project. 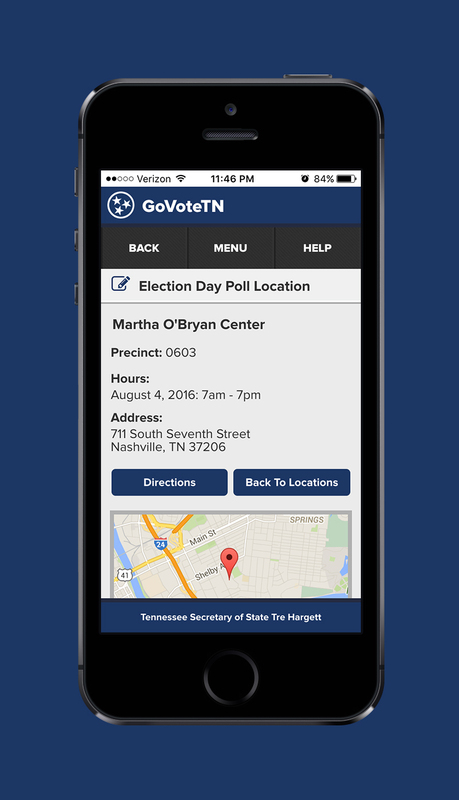 You can download the app here, and can also access a web version. 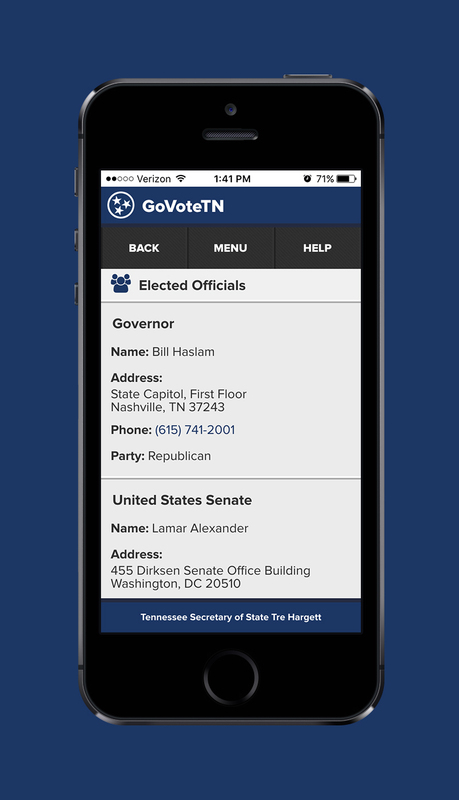 This application and all related intellectual property/copyrights belong to the Tennessee Secretary Of State's Office and/or Atiba.